Commercial heat-set web offset presses are mainly used for longer run productions of magazines and brochures. It is difficult to state accurately the point where it is more suitable to use web- instead of sheet-fed presses, as this depends on a lot of factors, but a good estimate is at a run length of 10-15,000 copies. The advantage of the web fed offset press is that the raw paper is fed from a reel of paper into the press in one end and leaves it as a finished product in the other end. In the past decades the presses have grown dramatically in size. The standard press size a few decades ago was 16 pages A4, but today presses in sizes 32 and 48 pages are quite normal. Presses even exist in the sizes 64, 72, 80 and 96 pages A4. In USA the sizes are based on the letter size format. Today the fastest presses print with up to 18 meters/second, which requires very long gas dryers to dry the printed matters properly, which again make the presses very long. 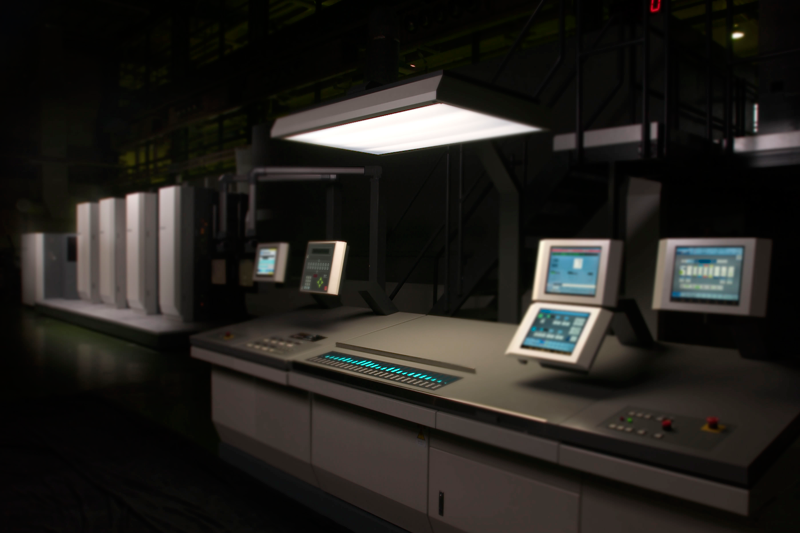 The most innovative web printers now begins to install LED UV curing systems instead of the long gas dryers. The drawbacks of the web presses are that it is difficult to print on thicker substrates (135 g/m² seems to be the present limit at decent speeds) and the cut-off is normally fixed (based on A4 or letter-size or other standard formats), so printing odd sizes in relation to the machine configuration will generate a lot of waste and costs, making the press non-competitive in odd sizes. Commercial heat-set webs cannot print on heavier substrate qualities, so they cannot print sophisticated magazine covers. So commercial heat-set printers normally also dispose over sheet-fed offset presses for the cover production. This implies the use of sheet cutters, where Yaskawa Levanto can be used. Commercial heat-set printers normally also dispose over various kinds of finishing equipment, which needs to be robotized to increase the company’s overall productivity.